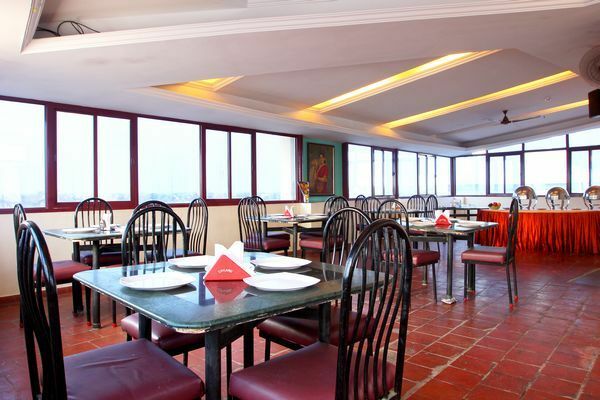 Hotel Vijai Paradise is pleased to welcome you to Coimbatore, the Manchester of South India. We established our Hotel in 2001 Hotel Vijai Paradise" is reckoned among Government Classified Luxury Hotels - A blooming residential at the heart of Coimbatore city. Security Guard, Laundry Facilities, Backup Generator, Exhibit Space, Room Service, Arcade/Game Room, Elevator/Lift, Parking, Baggage Storage on Request, Breakfast Services. Internet Access, Toothbrush/Razor on Request, Moisturiser, Air Conditioning Room, Attached Bathroom, Room Heater, Complimentary Newspaper, H/C Water, Bottled Water in Room, Wakeup Calls. User reviews for "Vijai Paradise Hotel Coimbatore"